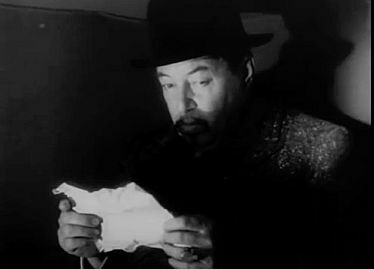 Charlie Chan flies to Paris following his case in London (the "Stable Murder Case" as seen in Charlie Chan in London). Pretending to be on vacation, he is actually working for a London banking house investigating forged bank bonds. Upon his arrival at the Paris airport, Chan is confronted by a beggar on crutches wearing dark glasses who asks him for some money for food. "It is always good fortune to give alms upon entering a city," Chan tells a gendarme as he drops a few coins into the man's palm. 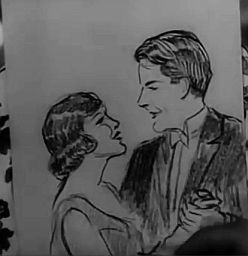 He then places a telephone call to Nardi, a dancer who is working undercover on the same case, and makes an appointment to meet with her that evening following her performance at the Cafe du Singe Bleu. 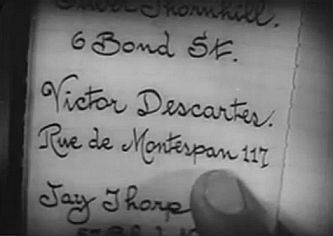 Chan first visits Victor Descartes, whose father is the director of the Lamartine Bank where Victor works as a clerk. Victor's fiancé, Yvette Lamartine, the bank president's daughter, arrives with two friends, Max Corday, an intoxicated artist, and Renee Jacquard. After Chan mentions that he must depart for the Cafe, at Corday's suggestion the group accompanies him there. As Max gets out of his car, he bumps into the same beggar that Chan had seen earlier at the airport. Corday gives the disgruntled man some money, calming him down, and then the group enters the Cafe du Singe Bleu. Inside, Nardi performs her "Apache" dance, and is murdered at its conclusion by a knife thrown by the unseen man on crutches. As she lies dying, she tells Chan that he can find important information in her apartment. 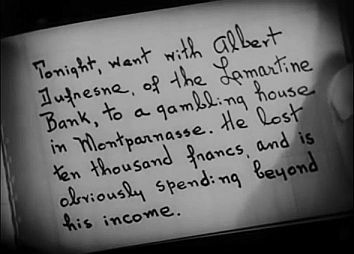 At the apartment, in Nardi's bedroom, Chan finds a diary containing information on Albert Dufresne. As he is leaving the building, Chan is nearly hit by a stone block that is dropped from the roof by the mysterious beggar. Returning to his hotel room, Chan is pleasantly surprised to find his eldest son, Lee, who is in Europe on business and has come to Paris to vacation with his Pop. 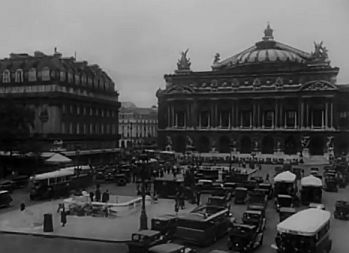 Chan reveals to Lee that he is actually in Paris to investigate a case, and that his accomplice, Nardi, has been murdered. The next day, when Yvette Lamartine visits her father at the bank, Dufresne, her father's trusted assistant, threatens to show Victor a collection of love letters that she had once written to him. With Lee waiting at the door, disguised as his father's chauffeur, Chan enters the bank in time to see the office manager, Henri Latouche, having the man on crutches, who is screaming at bank officials about having been cheated, escorted out of the building. 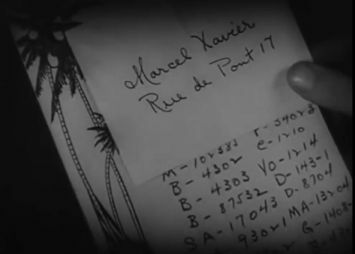 Latouche identifies the man as Marcel Xavier, a shell-shocked, crippled soldier. Chan meets with Paul Lamartine and Albert Dufresne, and after showing them that bonds that have been issued by the bank are forgeries, he instructs Lee to follow Dufresne. That night, as Lee watches from the street, Yvette visits Dufresne, who is in the midst of packing and who is being secretly being watched by Xavier. 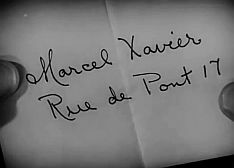 Just as Dufresne is handing the love letters to Yvette, he is shot by the unseen Xavier, who then tosses the gun into the room. Xavier escapes with the bonds that Dufresne had packed, but Lee follows his taxi. A frightened Yvette grabs the murder weapon off of the floor just as the room is invaded by people who had heard the shot and her scream. An arriving gendarme quickly arrests her for the murder. 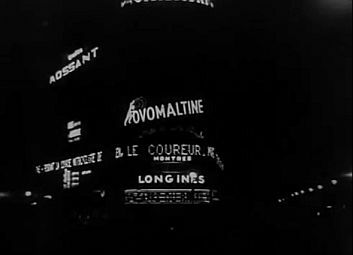 Chan is dining with Inspector Renard and, when both men receive the news of the killing and that Yvette Lamartine is the suspected murderer, they hurry to the scene. While Corday and Renee Jacquard are questioned by police, Yvette slips the letters to Chan, who promises to destroy them. He also lets Yvette know that he believes her to be innocent. Looking about, Chan notices several clues, including a half of a broken Lamartine bank seal. Lee returns to the hotel, and when Chan joins him, Lee tells his father that Xavier got into a limousine after the taxi ride and that it was the same car in which Max and Renee had driven away from Dufresne's residence. Chan visits Corday and tells him that he suspects Xavier used his limousine to shed his disguise. Max, thinking that Chan might suspect him, reminds him that Xavier had bumped into him outside of the Cafe. Chan then leaves and Max quickly packs the bonds that were taken from Dufresne's room. As Corday tries to leave his apartment, Chan and Lee stop him, as Chan, with a measure of sarcasm says, "Little keyhole big friend to stupid detective." Chan notes that the half of the seal that he found at Dufresne's matches that on one of the bonds in Corday's possession and surmises that Max killed Dufresne, but he still has not found Nardi's killer. While Lee holds Corday at gunpoint, Chan leaves for the bank. At the bank, Latouche gives Chan Xavier's address. Victor, appealing to Chan to help Yvette, and greatly encouraged at the detective's belief in her innocence, drives him to find Xavier. At the address, Chan finds a secret entrance to the Paris sewers where the two find a room with a printing press and engraving tools and more forged bonds. In the darkness, Xavier arrives and fires a shot at Chan, apparently seriously wounding him. However, Xavier is apprehended as the detective had escaped injury by using the effective ruse of a flashlight tied to a broomstick in the darkness. Chan then pulls off Xavier's hat, wig, glasses, and mask, revealing Henri Latouche. As Inspector Renard and the police arrive with Lee, Chan explains that Corday and Latouche had both used the disguise so that both would have an alibi. Corday had murdered Dufresne, their accomplice in the bond forgeries, who had tried to leave town with their money and bonds, and Nardi was murdered by Latouche. 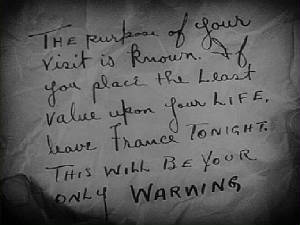 As Latouche is taken away, Chan tells Inspector Renard that Yvette Lamartine is his assistant and was sent by him to get important letters from Dufresne. Renard, understanding Chan's meaning, agrees to release her, stating to the detective that "the age of chivalry isn't dead after all." NOTES: According to Daily Variety, Hamilton MacFadden, the original director, was relieved of his assignment after the film was in production one week. 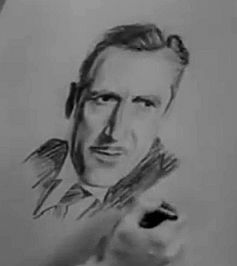 Dan Clark, who did not receive screen credit, was the original cameraman. This was the first film in which Keye Luke played the role of Lee Chan. It is always good fortune to give alms upon entering city. Young bird must learn to fly. Youth tonic for old blood. Mud turtle in pond more safe than man on horseback. Joy in heart more desirable than bullet. Good detective never ask "what" and "why" until after he's seen. Kindness in heart better than gold in bank. Must turn up many stones to find hiding place of snake. Only foolish man waste words when argument is lost. Perfect case, like perfect doughnut, has hole. Optimist only sees doughnut, pessimist sees hole. Silence big sister to wisdom. Hasty conclusion like gunpowder - easy to explode. Very difficult to explain hole in doughnut, but hole always there. Like all detectives, must consider every possibility. Little keyhole big friend to stupid detective. Canary bird out of cage may fly far. Eyes of kitten open only after nine days. Faith is best foundation for happy future. Cannot see contents of nut until shell is cracked. Man cannot drink from glass without touching. Grain of sand in eye may hide mountain. Many strange crimes committed in the sewers of Paris. (Yvette Lamartine: "Why, you're not old at all.") Maybe not heart - but joints sometime argue matter. (Henri Latouche: "You meddling devil!") Honorable ancestors refute suggested kinship. Often the effort to perpetuate a character beyond the life of its creator results in a cheap imitation of the original, but the Chan stories seem to hold up. In this latest version Chan visits Paris on a forged bond matter. Of course he solves the mystery, but not until the film has run its length. There's ingenious plotting, well sustained suspense and a speed of action that holds the picture up for that extra 10 minutes beyond the hour. Picture has been given a good production, looks important, and has been nicely edited. It will please the whodunit fans. Novelty gag is that the menace is a syndicate rather than a single person. Three bank employes [sic] create a mythical Xavier who appears to be a war veteran beggar. In reality he is any one of the three who may happen to require the disguise. Being in Paris the trio have their counterfeiting plant in the sewers, which helps the visual effect. Most of the action, however, is laid in the bank and the upper-world. 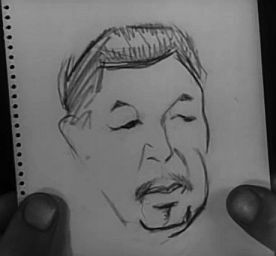 Warner Oland holds his own as the Chinaman and Keye Luke does a good job as his college bred son. Mary Brian is a capital love interest, who, of course, becomes involved, and the others are all up to their assignments. 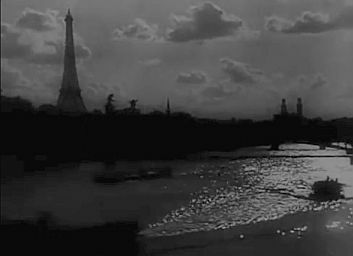 The Eiffel Tower and the River Seine. 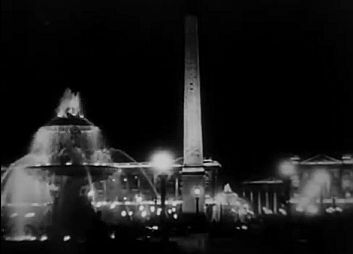 The Luxor Obelisk at the Place de la Concorde. and Yvette Lamartine drive along the Avenue des Champs-Élysées. 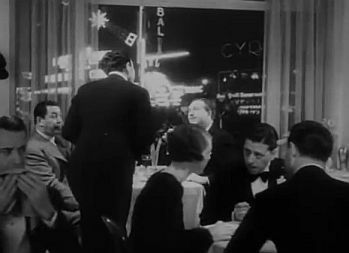 the restaurant where Charlie Chan and Inspector Renard are dining. THE AIRPORT WHERE CHARLIE CHAN ARRIVED IN PARIS: "Aerodrome du Bourget"
THE REASON THAT LEE WAS IN EUROPE: He was sent on a buying trip by his "big boss." Emmanuel Casteneda - from the "Argentines"
aerodrome - (French) An airfield equipped with control tower and hangers as well as accommodations for passengers and cargo. Aerodrome du Bourget - Opened in 1919, Aerodrome du Bourget (today, L'Aéroport du Bourget) was the first civil airport in Paris. On May 21, 1927, Charles Lindburgh landed his Spirit of St. Louis there following his famous trans-Atlantic flight. Master of Ceremonies: "And now, ladies and gentlemen, we're going to have that little star, whose interpretation of the danse apache, I know will thrill you." Home, James! - (Catchphrase) The original saying, dating from the mid-1800s and spoken to a coach driver, was supposedly "Home, James, and don't spare the horses!" There was a 1934 song by Fred Hillebrand (1893-1963) with the same phrase as a title: Home, James, and Don't Spare the Horses is the modern origin of the catchphrase; it was in general usage by the early 1930s. 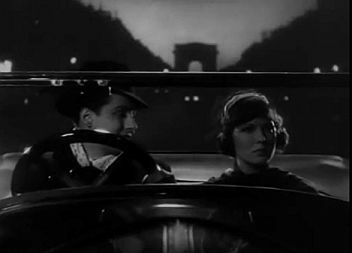 Charlie Chan in Paris - Yvette Lamartine (to Victor Descartes): "Home, James!"